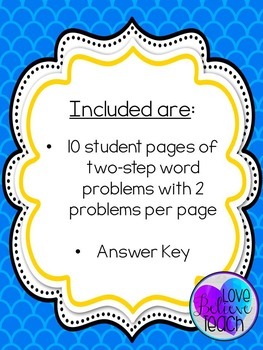 Multi-step word problems are challenging for so many students. 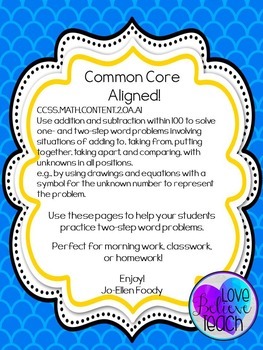 This will help you to teach, reinforce, or review two-step addition and subtraction problems to help your students master this tricky skill. 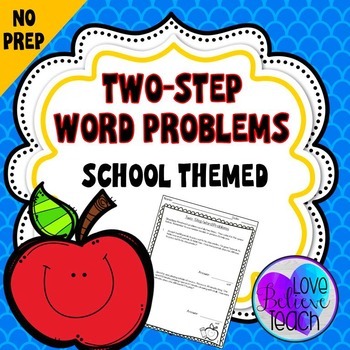 Each page has two problems and each word problem has a school theme to it- so it's perfect for all year long! Be sure to take a look at the preview above! Check out this full unit- 60 more problems!